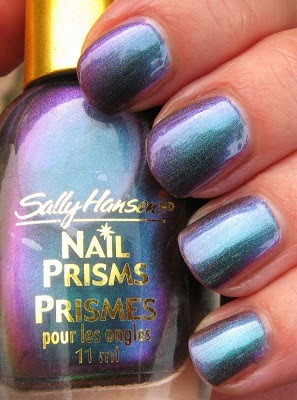 Today's Throwback Thursday features Sally Hansen's Turquoise Opal from their Nail Prisms line. 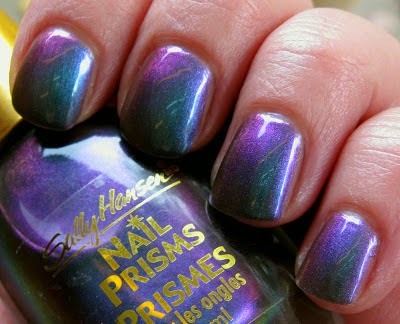 This is a strong Turquoise/Purple duo chrome, and it's one of my most beloved polishes. I couldn't recall exactly when these were released, so I turned to Google and came across a very thorough blog post about this line. According to the author's information, these were released in 2002, and there were over 40 shades available. 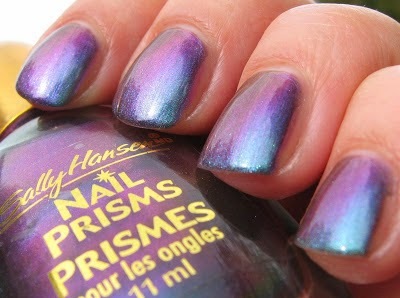 I think I have about 15 bottles of Nail Prisms. 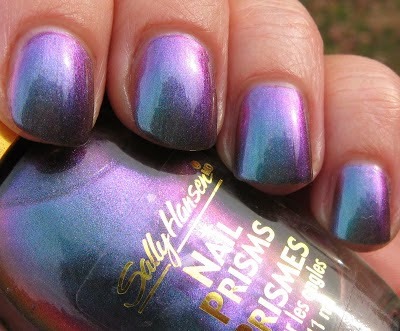 If you're looking for a great read on the history of Nail Prisms, be sure to check out this blog post from A Vibrant Point of View. This is such a pretty polish. I can't believe there were over 40 shades in this line! That's unreal!